He is the king of “pop surrealism” a term that he coined in 1981. He was Keith Haring’s roommate, one of Basquiat’s closest friends and Andy Warhol’s dear pal and mentee. 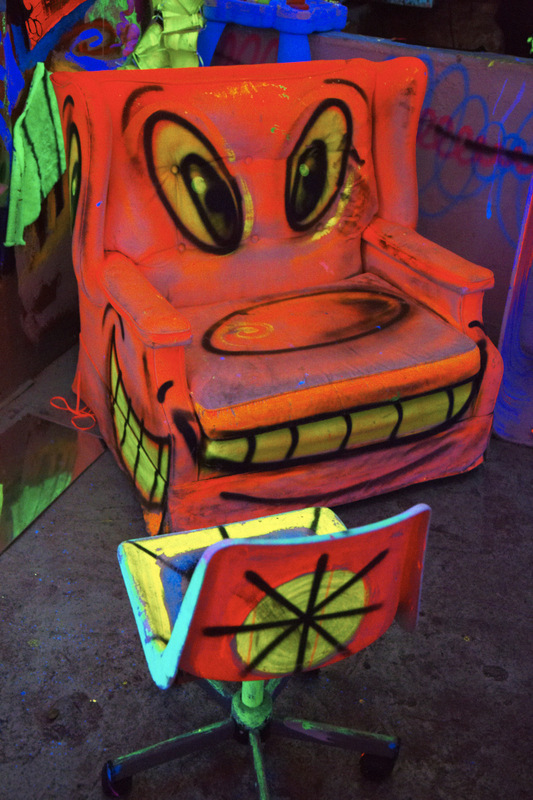 Kenny Scharf is as talented as an artist, as he is generous and good-looking. I have always been enthralled by his ability to take mundane objects and turn them into fantastic things through his art. Nothing is off limits to him and everything presents an opportunity to become something else. He also navigates the streets, spray can in hand, with the same confidence and ease with which he approaches a blank canvas that is to become a piece that will hang on the walls of a major museum. Kenny is from California, has a home in New York City, one in Los Angeles and another in Bahia, Brazil, and all of them are chock-full with fantastic trinkets, most of which he has created himself. 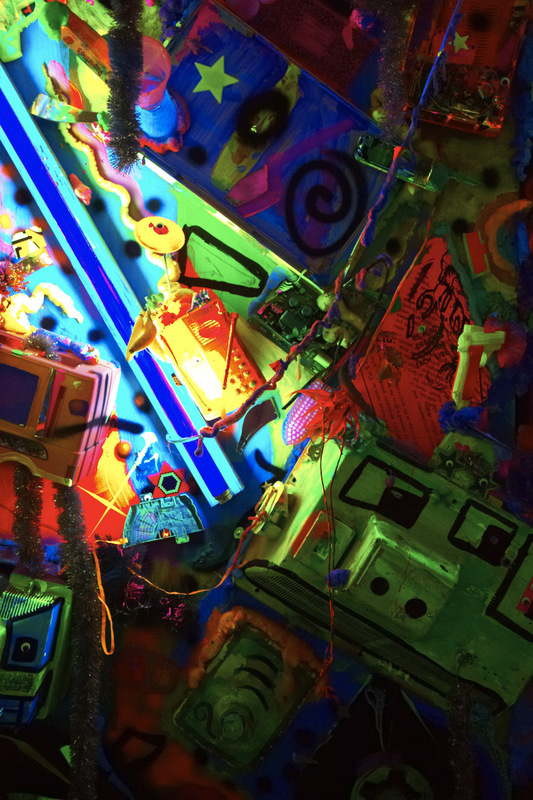 But now, as a newly minted grandfather, Kenny is spending most of his time on the West Coast and his amazing “Cosmic Cavern” in East Williamsburg, will cease to be. Last Saturday, we had the pleasure and the privilege to attend to the last dance party at Kenny’s "Cosmic Cavern". We all had such a fantastic time in his basement, which he had transformed years ago with painted floors, neon lights, plastic ornaments, toys, objects and glow-in-the-dark painted chairs, furniture and walls. Many of the objects left behind from wigs to whistles have become part of the permanent installation and have been there for more than 20 years. I must say that I felt nostalgic and a bit sad about the chapter that is being closed. The Cosmic Cavern meant so much for pop art and culture and throughout the years witnessed an evolution and revolution in the arts, music and culture. But like Kenny, I’m also looking forward to a happy future and to sustaining an optimistic outlook in life.